Time just flies. It seemed unbelievable that the same shy girl at school was a pretty bride today. She looked so gorgeous in her purple colored wedding saree. 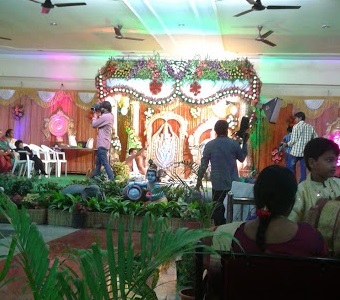 Seen in the picture is the marriage hall beautifully adorned for the occasion. I wish Sowji a very happy married life!!! !